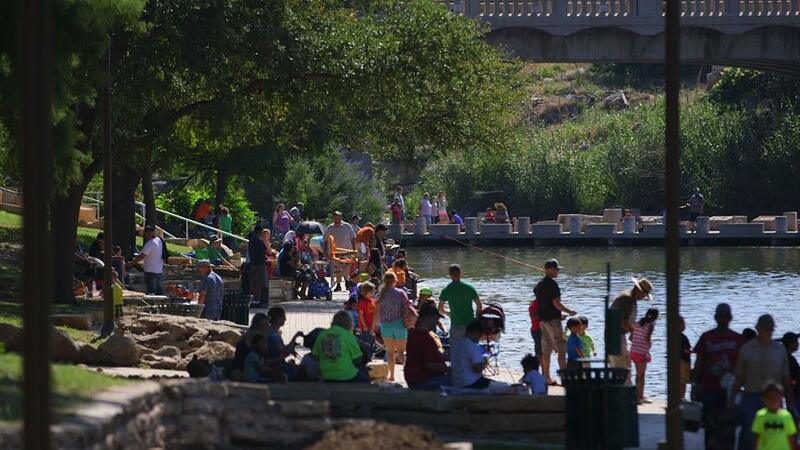 SAN ANGELO, TX-- After a long summer, it is finally that time of the year to catch some cold water fish again, according to a press release by Texas Parks and Wildlife. The TPWD will be placing Rainbow Trout into the Concho River on November 30. They will be putting the fish at the Irving street bridge. Over 300,000 fish will be placed in Texas rivers and fresh water from November to the beginning of March. "Rainbow trout can be caught on a variety of baits and lures. Depending on an angler’s experience level and interest, they can be caught using simple, light tackle or on hand-tied flies using a fly rod," said the TPWD. "Other tips to consider when trout fishing include arriving early to stocking sites on stocking days, maintaining a safe and courteous distance from fellow anglers, keeping an array of baits and lures nearby and having ice available when harvesting trout to keep fish fresh." In Texas children under the age of 17 are allowed to fish for free, but if you are an adult, you must first purchase a Texas Fishing license. When fishing for Rainbow Trout, you are only allowed to keep five of the fish that you catch and are not allowed to use more than two poles. Rainbow trout are an attractive, tasty fish found on many restaurant menus, and anglers can find that they can be a great deal of fun to catch. I had a lot of fun fly fishing on the Blue river in Colorado. It was my first time to try it and I had hired a tour guide. He provided all the gear and taught me a variety of things like how to choose a lure, tie it, and cast. After we practiced casting for a while, which takes a while to get the feel, we put on waders and went into the river. Almost immediately a rainbow trout hit the line and a lot of action the rest of the day. They are beautiful fish and fun to catch. It was a clear water mountain type river though that was icy cold. Some time later I went out and bought my own gear and tried it on my own. It was another mountain river but this time in the foothills of the Sierra Nevada. I put on the waders and found a spot but there was no action . As I proceeded to a different location, I stepped in a dip on the river bed. My waders went down under the water and almost immediately filled up with water. I was in an emergency because the current of the river was also pushing me back. Somehow I managed to climb out of the waders but it was difficult and scary. It is a fun sport but I am not sure how the trout will like the Concho river. It is a valuable treasure and natural resource here but also looks sort of stagnant and green sometimes. I am not certain how fish think or if they think at all. If they could communicate with each other , I wonder what they might say. Maybe, hi, welcome to San Angelo.